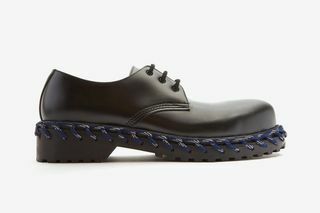 Key Features: The derby shoe’s upper is made of leather with a classic Derby lace closure and round toe. 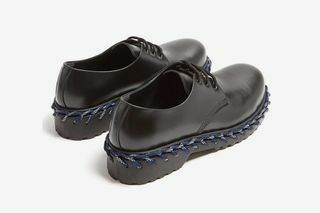 It sits atop a bulky black midsole, which features multi-colored whipstitch detailing. 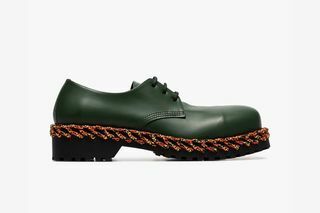 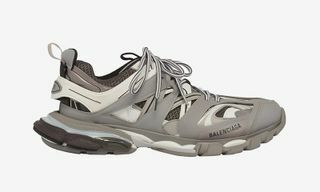 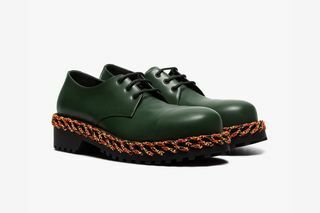 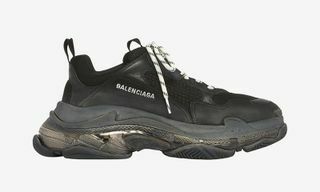 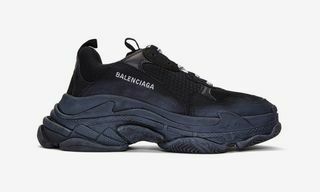 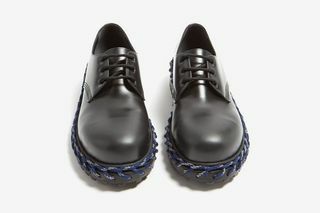 Editor’s Notes: Led by Demna Gvasalia, Balenciaga has given the classic leather Derby Shoe an interesting update.The hiking laces threaded through the midsole evoke a certain Givenchy design which featured a chain-wrapped midsole. 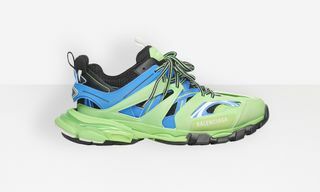 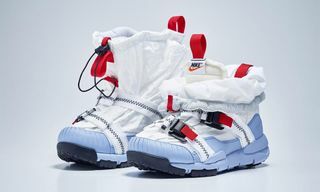 The sneakers are available at various retailers and in either a more conservative black colorway or a statement green colorway. 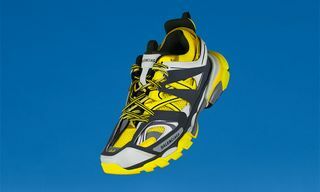 Check out shots above and head to the aforementioned retailers to secure yourself a pair.